The Canadian Mental Health Association (CMHA), as a national body founded in 1918, is one of the oldest voluntary organizations in Canada. 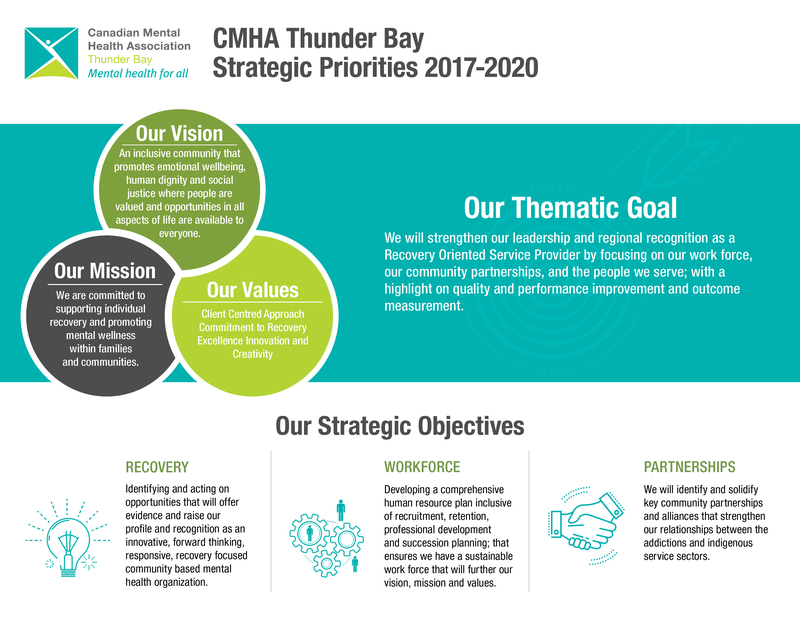 The Thunder Bay Branch was first organized in 1955 by a volunteer group of citizens concerned about a lack of community services and public awareness for mental health. In 1975, the Thunder Bay Branch was officially chartered as a branch of the national organization. Today we are an accredited organization providing a comprehensive range of recovery based mental health services.